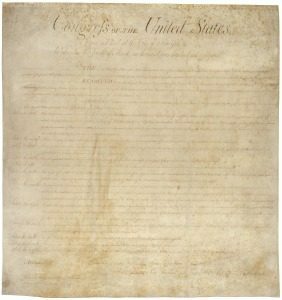 In celebration of this day, take a minute and recall the long history of people valuing the need and right to speak up. Of course there is an art to speaking up in a way that people can hear us. Ask questions to understand what is expected of you? If you do not agree with a workplace practice or behavior communicate it in a conversation rather than in a passive aggressive manner. Look for solutions rather than problems. Once you identify a problem consider and brainstorm with others for a solution. Keep focused on the solution even if you sound like a broken record. Listen to others when they speak up. They might be saying the same thing you are trying to say. We want to know what you think. 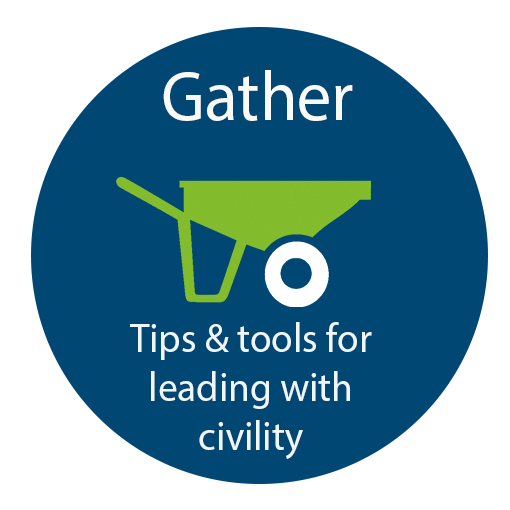 What other tips do you have about speaking up at work? Speaker Shelby Scarbourgh gave a TEDx talk in 2016 about civility. She mentions George Washington’s 110 Rules of Civility & Decent Behavior in Company and Conversation. Rule number #50 states: Be not hasty to believe flying Reports to the Disparagement of any. 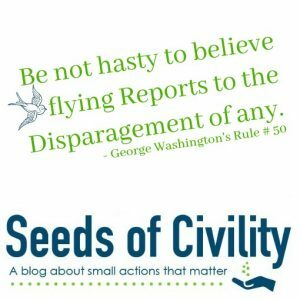 The purpose of this blog is to use rules for civility as insight into our own behavior. 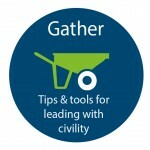 Using civility rules as a hammer for others people’s behavior never works. With this rule, we individually have an opportunity to look at gossip. How does it make us feel when we hear gossip? How does it make us feel when we share gossip? If we are honest with ourselves, we feel good at first to hear gossip, or feel powerful when we share information that others do not know. However with a little reflection, we tend to feel empty. Getting skilled at recognizing gossip and learning to negotiate it is a worthy self-development activity. According to a recent article in Harvard Business Review, gossip can be addressed by first owning up to it, then creating and holding boundaries, and finally recognizing collusion attempts from people who want to share private information about a person not present. 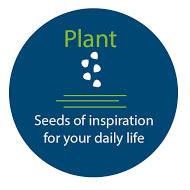 Follow our blog for seeds of inspirations for your daily life and add more mindfulness and intention to your workplace with our customized programs. 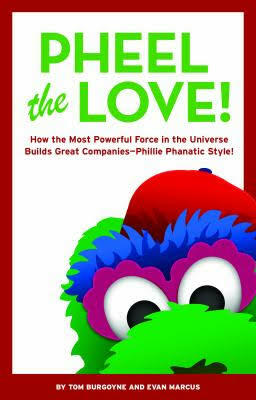 Pheel the Love – How the Most Powerful Force in the Universe Builds Great Companies – Phillie Phanatic Style! Baseball fans might know that the Phillie Phanatic has been around since the late seventies. The mascot for the Philadelphia Phillies was created with the help of people that worked on the Muppets. The Phanatic has a reputation of being a prankster in the most fun and loving way. Authors Tom Burgoyne and Evan Marcus believe that the power of love is the force behind the Phillie Phanatic’s antics. Burgoyne, the man behind the green suit since 1983, and Marcus, a leadership teacher, believe that love, this force for good, is worth exploring for applications in the workplace. For the Phillies, the Phanatic is the ‘pocket of love’ the part of the organization that consistently exudes fun and goodwill, no matter what happens on the field. The seven principles are presented with fun names such as “The Big Smooch”, “Duct Tape and Hot Dogs” or “Give’m The Belly Whomp.” Behind each principle, readers will find actions that any serious leader can take to improve loyalty in their organization. One example comes from Principle #3 Duct Tape & Hot Dogs: Be Committed to Operational Excellence. Author Tom explains that The Phantic’s Hot Dog Launcher, one of the Phanatic’s ballpark antics that sends free hot dogs to lucky fans, is an example of operational excellence. On the surface the antic looks like pure fun but there have been refinements over time to the process to make sure fans are safe and the hot dogs arrive still warm. There is a lot that has to take place for a lucky fan to catch a free hot dog at a Phillies game. When the conditions are for right for a night of hot dog launching, I phone Chris Long, our long-time entertainment director. She logs it into on to our in-game entertainment schedule, which sets off a series of events. Entertainment coordinator, Teresa Leyden, notifies our promotions team who order the hot dogs from our ballpark concessionaire, Aramark. Members of our promotions team pick up the hot dogs and take them to the ground crew area on the service level to be prepared for flight. Tom goes on to explain that each hot dog is wrapped in aluminum foil. Next the wrapped hot dog is rolled into paper, and taped with duct tape. Prior to improving the process there were mistakes that led to exploding dogs and a big mess. The moral of the story is to strive for operational excellence but know, that at one point or another you might bomb. As a reader, the lesson is to have an intention of good service, but to look at how that intention is playing out and work as a team to make improvements. The seven principles combined with the DNA of Love and wrapped up a list of questions that guide the reader into creating a “blueprint for love” in their organizations. Read this book, and consider how the concept of love fits in the workplace.